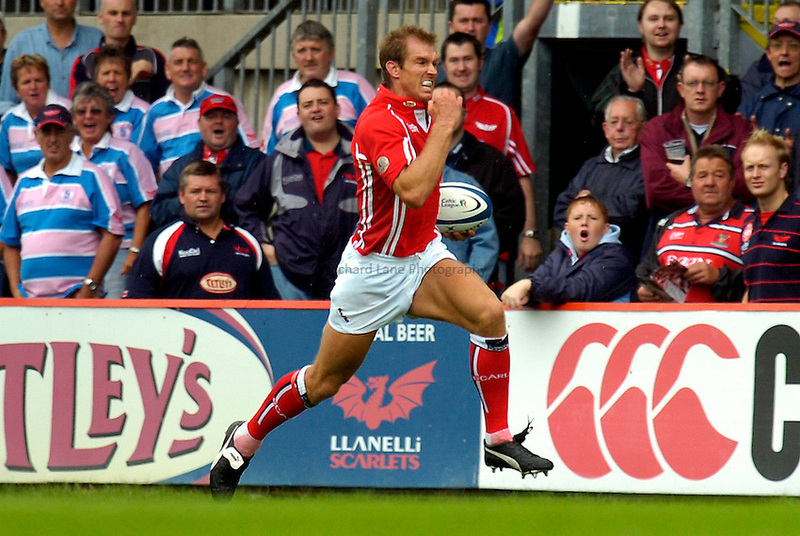 Photo: Alan Crowhurst..Llanelli Scarlets v Gloucester Rugby. Pre Season Friendly. 19/08/2006. Llanelli's Dafydd James runs in to score a try.